Your at-home dental hygiene routine is the foundation for your general oral health. This foundation is strengthened through regular visits to Hayward family dentist Dr. Gary Fong. The frequency of your visits will depend on your specific oral health needs, but every six months is typically the recommendation. Biannual visits are most often covered in full by dental insurance. If you are overdue for a cleaning and examination, please contact Gary G. Fong, DDS online or by calling our Hayward family dentistry practice at 510-582-8727 to schedule your next appointment. Plaque is a biofilm that is produced by the bacteria in your mouth each time you eat or drink. This biofilm is soft and most of it can be removed through brushing and flossing. However, the small amount that remains will harden into tartar – which is significantly more difficult to remove. Tartar holds bacteria and acids tight to the teeth, allowing them to erode tooth enamel. This is the process by which decay forms and the starting point for more serious issues including tooth infection and gum disease. Tartar, particularly below the gum line, can be next to impossible to remove through brushing and flossing alone. Routine visits to our office serve three very important purposes. They allow us to thoroughly clean your teeth – even below the gum line – to prevent tartar from causing irreversible damage. They also allow our Hayward dentist to examine teeth and gums for signs of decay and infection, and to help prevent serious oral health problems by providing swift treatment at the first sign of an issue. In addition to cleaning teeth and diagnosing oral health problems, biannual visits allow you to ask any questions you may have about your at-home routine, our cosmetic dentistry services, and anything else related to your oral health and beauty. We look forward to learning more about your needs and helping you achieve the strong, healthy, and attractive smile you deserve. To schedule your next appointment, please contact us today. 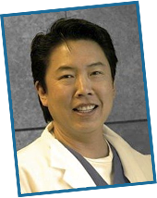 Dr. Fong welcomes patients of all ages living in Hayward, Castro Valley, and surrounding areas of California.